The Czech 2-Hole Cabochon Beads are 6mm round beads with two parallel holes. The Rosetta Cabochon beads have a textured Rosetta top. 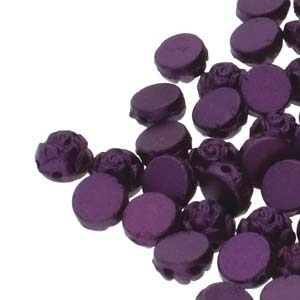 These beads work exceedingly well with some of the newest two hole bead designs.